During the recent holiday shopping season I noticed many stores using terms that contradicted their intended purpose (to increase sales). As I continued to come across these, it reminded me of a book I read years ago that said words are grouped words into two categories. Those which “Lose Money” and those words which “Make Money”. Since that time, I have carried a “partial list” of words from each category with me and review them whenever I write. I attempt to make sure when I write and where appropriate, those words which are on the “lose money” list are not included in my copy, and at least some of those on the “make money” list are included. In reviewing ecommerce sites this holiday shopping season, I noticed a number of words that fall on the “lose money” list being used without regard. In some cases, it may seem unavoidable depending on the circumstance, I realize that. However, take note of the 14 “words that lose money” which I have listed below and the examples I show of how they may be rephrased to become “money words”. If you are using any of these words in your store, you may be jeopardizing potential sales before you even have a shot at your real goal of making money. In effect, you are asking your customers to “purchase your product” by using contradictory words that actually lose money. The above is only a partial listing of words to look out for. They are the terms I most frequently see mis-used on ecommerce sites. The results you get will vary based on your target market, user demographic, product offering, and more. The key is test different variations against each other to determine which works best for your market. Use your imagination to find terms that more appropriately speak from the customers perspective and fit your needs, but don’t get too creative. That too can have an opposite effect. Finally, remember what works in one market may not work in another. I wrote another post recently to go along with this called 200 Words That Make Money. Nice posting. I’m definitely going to make a note of those tips. Cheers. Interesting post with unique content. Good post… the basic idea is to limit the use of negative words, even if one is trying to state something positive. I have to disagree with “Log in” in favor of “Sign in” however, because for those who don’t live and breathe computer systems every day, “signing in” is a much more familiar action to take than “logging in”. The basic idea with that point is to avoid using technical terms when speaking to non-technical customers. Great Article. There is so many negative words people use in closings that will have them lose the client. However there are times when agreeing with the customer about a negative comment. People don’t always want a overhyped statement. Sometimes the truth will work to build respect and have them signing up by creating the trust factor. this post makes me think. =) Let’s see if there’s any increase in sales by using the right words u suggest. The following post may help with that. However, keep in mind that just using those words alone (with no other factors taken into consideration) on an ecommerce site will not increase sales. However, as you may know from reading my blog, they are one element that plays into the entire customer experience. If used in conjunction with the a number of other factors, I can tell you they absolutely do increase sales conversion. This includes on ecommerce sites, proposals, landing pages, and just about anything else you can imagine. Interesting to note that these are the words that allow for the internet marketer lose money. Thanks for the information and this is duly noted. Great post, I agree with most of your list and it’s very important as you say to not lose your customer. Nice article and good advice. Don’t suppose you recall the name of the book you got this from? I don’t recall the exact book name unfortunately! I’ve got these printed out on a piece of paper (notes from the book). It’s been a while. If I turn up the name here I’ll certainly post it. I tried to search the Internet for it here and couldn’t find anything that reminded me of it. Thanks for putting them all in a handy list. Please, for the love of god, give me a plain language “Buy” button instead of having to jump thru 97 linguistic hoops. Before tweaking language how about MAKING THE SITE EASIER TO NAVIGATE. As a former sales manager, I can tell you everything on this page is right on. One thing to take into account though is the word “expensive”. This can be a selling point but it takes skill to use it properly (and usually only in direct face-to-face sales). For example, if selling something like Snap-on Tools the representative could say “Mr. Jones, what I have to show you today is not cheap. It’s actually very expensive stuff. Which I’m sure you’re very glad to hear, right? ‘Cause good/quality products don’t come cheap and cheap products are never good/quality.” As you progress, you continue to show how expensive it is without saying the price. The ultimate goal is to get them to think that it will cost them more than 4 times the price than it really is. That way, when you do tell them the price, they breathe a sigh of relief. I’ve even had clients jump for joy (almost literally) when I told them the price at the end because they were so glad it wasn’t the price they thought it was. I’ll definitely be keeping these in mind when i write my next article for my clients/ Great post, bookmarked ya for more. Especially word “buy” scars of potential customers. That’s why most internet marketers use words like “discover”. I never thought about these words like this before. You’re absolutely right. Cost, Deal, Sold. They seem to be very rough words. Thanks for sharing. I had written them down even before I started writing this comment. Thanks for the timely reminder about negatively weighted words. I wouldn’t go off the rails making up euphemisms, though; that could get very amusing in a corporate-speak kind of way. I think some of these words may apply more to a sales person doing his speal and would be words not to use to scare of the customer rather than an ecommerce website where I’d think words like Price and Buy are what people are looking in a shopping website and have no sense of being pressured in to buying. I could be wrong, and would love to see some stats. –	suggests that the ‘checkout process’ does not start by clicking it, rather, the ‘buying process’ starts. The result can mean increased avg. order values using Add to Cart thus resulting in more sales. –	Is very strong and imperative (creates urgency). It’s ‘in your face’ selling. –	It suggests somehow an emergency (again, urgency). Buy it now or it may be gone. As a result, use of the Buy Now button tends to result in lower average order values and thus less sales. I find the “Buy Now” button works for sites like Yugster.com, Woot.com etc… where the ‘deals’ (yes, that word fits for those types of sites as well) are not only limited, but are ‘must act now’ type of offers. Another thing to look at are the major retailer sites. You’ll find very few if any ‘Buy Now” buttons on major retailers that are in the top ranks of ecommerce. 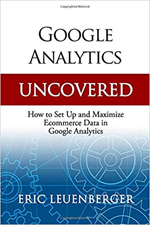 Yes there are those that use it (and if you notice, you’ll feel like when they do use it they move you toward the checkout rather than push ‘more shopping’) but when you look at majorities, the overwhelming majority choose Add to Cart over Buy Now. Major retailers continually test what works and what doesn’t. If Buy Now was more effective than Add to Cart they would all have that in place instead. I have the benefit of working with a number of retailers (both international and small one person operations) and in my testing I continually find Add to Cart out performing the Buy Now (in the instances we speak of here.) So from my experience, it holds true. ‘Price’ implies ‘cost’ / ‘parting with money’ / ‘something that is ‘pricey’ or ‘expensive’. None of these sit well with human buying thoughts. Nobody want to part with their money. If they could hold on to it for ever and still receive the goods they would. So rather tahn put a negative thought in their head using the term, leave it out so they stay ‘positive’. Once again, watch what some of the major retailers do. In cases as I speak of here many opt to leave the term out. Its negative connotation just isn’t worth it. What comes to your mind first when you here the word ‘Price’? What comes to mind when you hear ‘Free’? the feeling each conveys is quite different. The best you thing can do is test your own site. Try a buy now button for a good sample size and then alter it to an Add to Cart button. Measure the difference and decide for yourself. What works for one business does not always work for others so it benefits to always test.